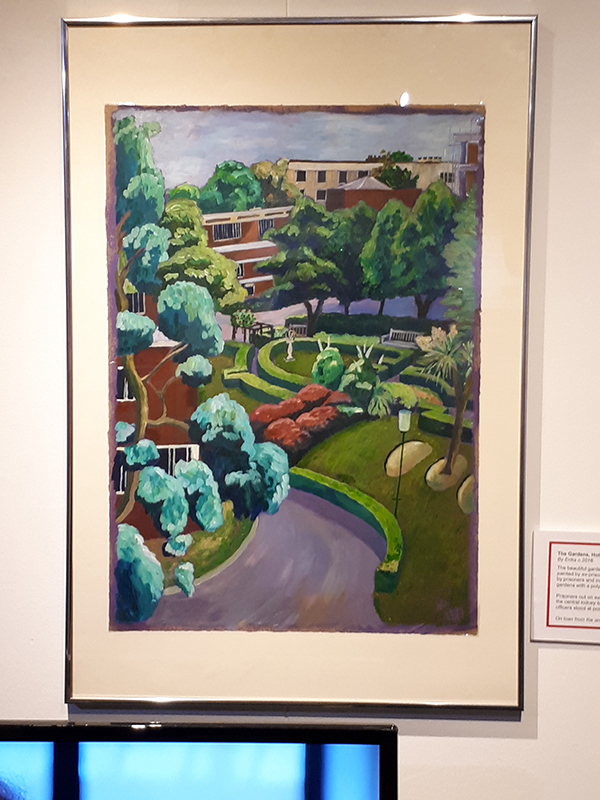 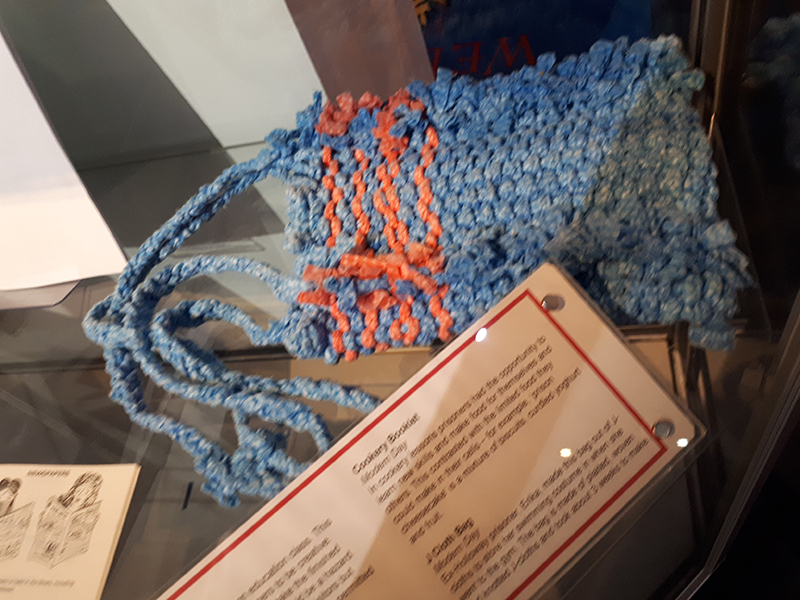 The Islington Museum showed it's Echos of HMP Holloway Prison exhibition until 6th October 2018. 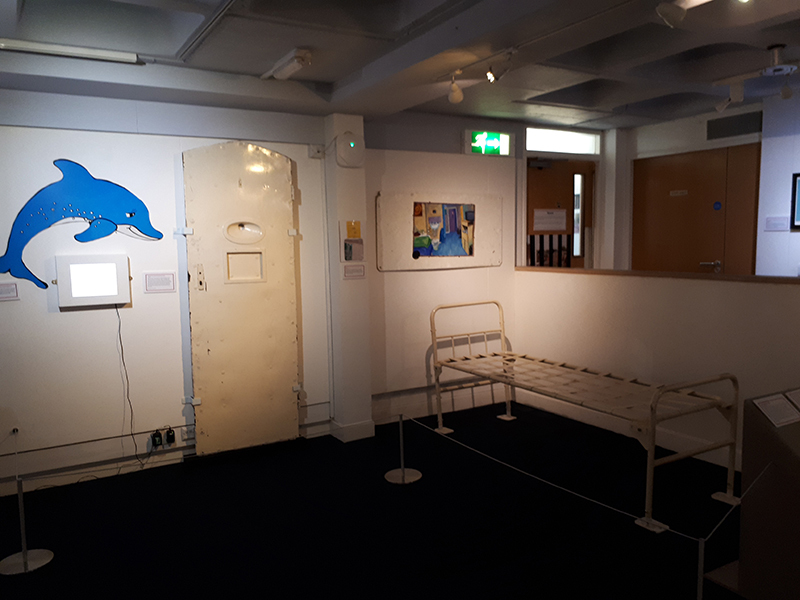 With contributions from both Prisoners and Staff the exhibition sets out to create a real rather than sensationalist look at what the day to day life was really like for those that spent time behind it's walls. 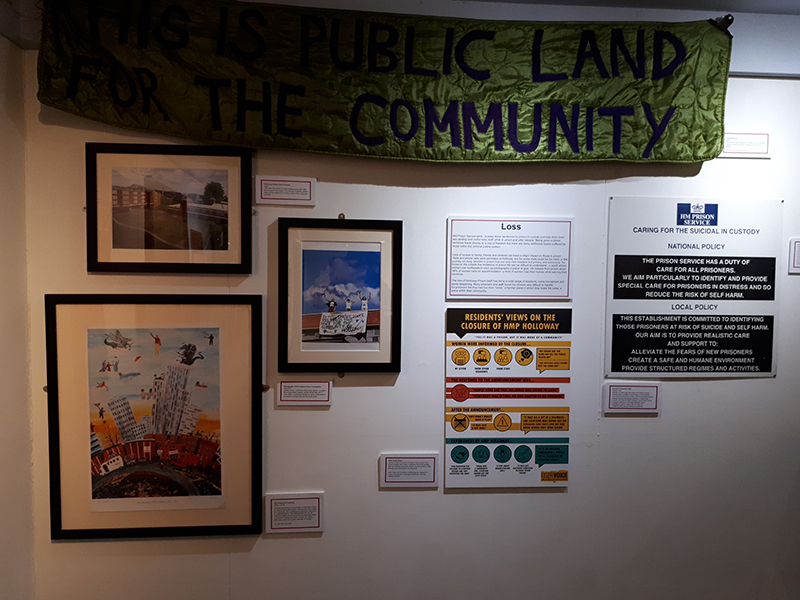 Erika is really pleased to have been able to contribute to the Exhibition with 'The Closure of HMP Holloway' A2 Print, Postcards from Prison 3 hour slideshow loop, her Platted J-cloth bag and three original paintings of a typical room on D4 landing, the old mother and baby unit that had slightly bigger rooms and was actually furnished with carpet tiles! 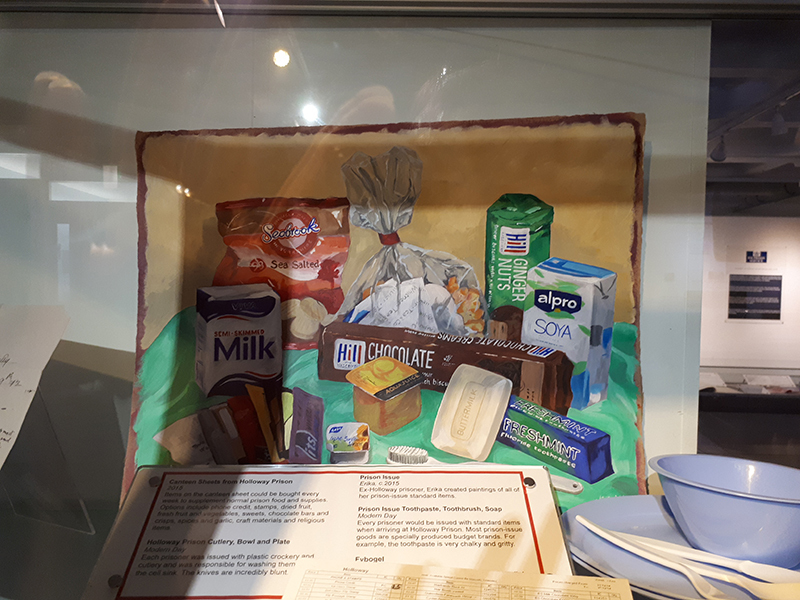 The three paintings depict the 'Room with a view' located on the 4th floor of D block, the 'Prison Issue' collection of all the items that prisoners would get for free on a daily or weekly basis, anything other than this and meals, they had to buy on the Canteen sheet, one of which is also on show. 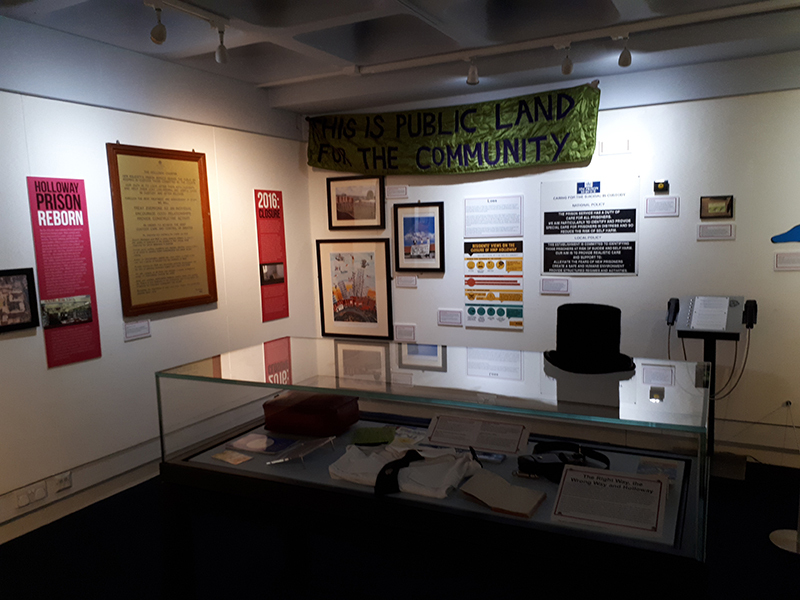 Islington Museum are holding a number of associated events during the Exhibition's run. 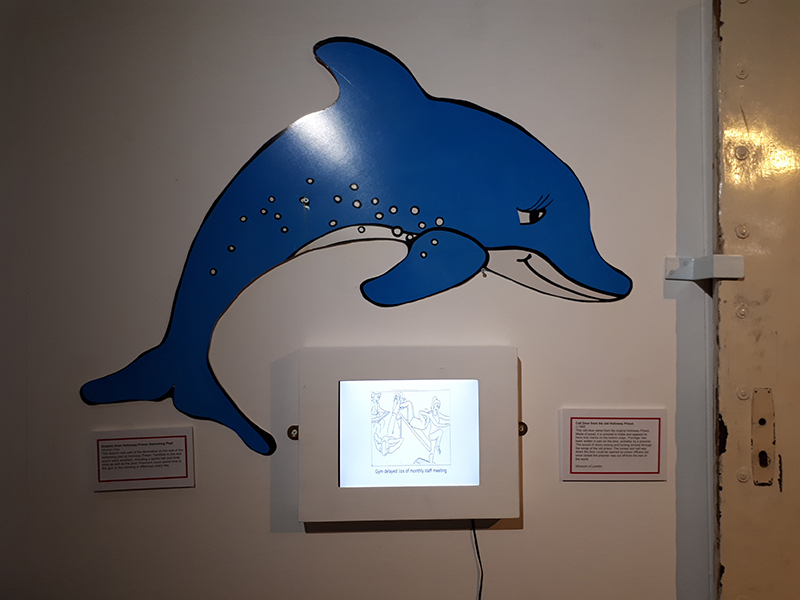 The Museum has also taken audio recordings from Staff and Prisoners recording their stories for posterity to be kept as a part of the Museum archive.